Yup, I'm growing onions from seed. Going through the basement, back porch, front porch and recycling to find as many containers as I can. Each onion needs to be transplanted into its own pot. They start out better from seed with many in one container, but now they need to be separated so they grow bigger. Once the weather settles, they can be hardened off and planted outside. So onions are something we use a lot of. Organic onions can run about a dollar each and sometimes more, depending on the season. If you use 365 onions in a year, that's a lot of money. Last year I bought onion sets. That was a mistake. They all went to seed. No onions at all. I started studying various videoes on YouTube. The only way to guarantee your harvest is to plant from seed. We are following along with the MI Gardener to get these going. I picked up Yellow Spanish Onion seed for all of 99¢. I still have potato onions that I'll plant as well. Those grow a little differently. You plant one and get nine, like potatoes. Chronographia doesn't like using the potato onions. They are small and have a lot of paper. 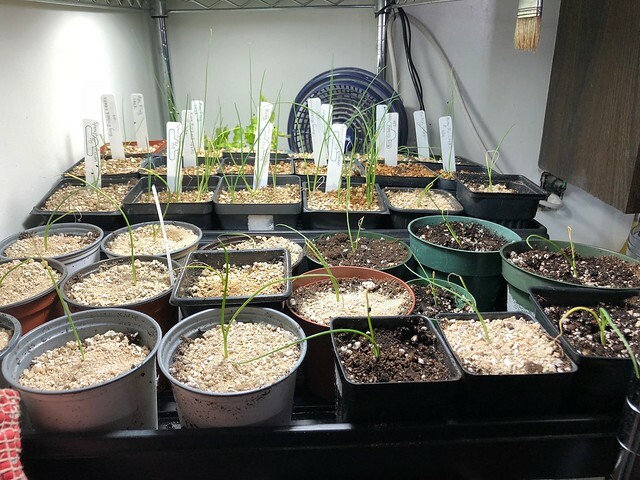 I'm trying scallions too but I planted them directly outside. The weather was so wonky this year, that despite the hay bales, I have my doubts they'll grow. The King Richard Leeks had very poor germination. So looks like its Spanish Onions in my future. Lots of Spanish Onions! Found a stash of cottage cheese containers. I'll wash and bleach those tomorrow. 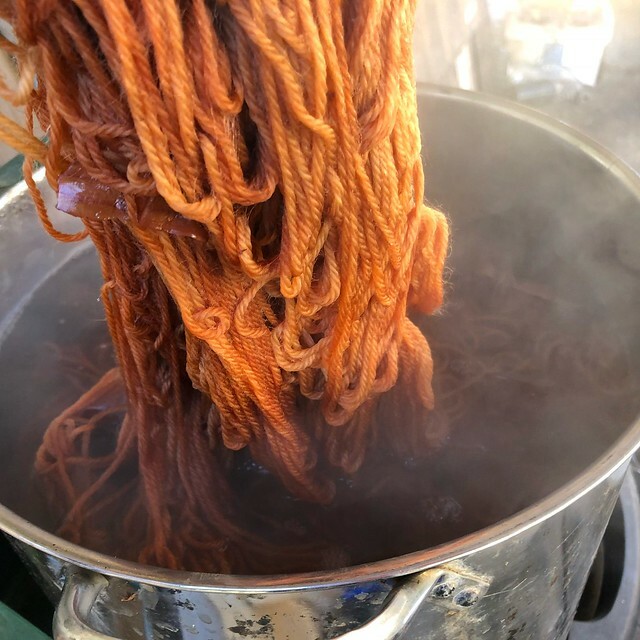 I also use the skins to produce natural dye.